PRESIDENT Mnangagwa has emphasised the need for dialogue among Zimbabweans as the only way to foster harmony in communities. He made the remarks during a dinner at State House on Thursday where the First Lady, Auxillia Mnangagwa, received a humanitarian award from Matter, a US-based organisation in recognition of the charitable work she has done through her Angel of Hope Foundation. "What we are celebrating today is service to those who are unable to help themselves," the President said. "When the First Lady began this crusade, I was very apprehensive about how she would separate politics from this calling." "But I am surprised that she has succeeded. In all her speeches I always listen very carefully to hear how much influence there is regarding politics. I have heard zero. She never mentions my party. When I say Zimbabwe is open for business and dialogue, she comes here and says Zimbabwe is open for business and charity. What a difference!" 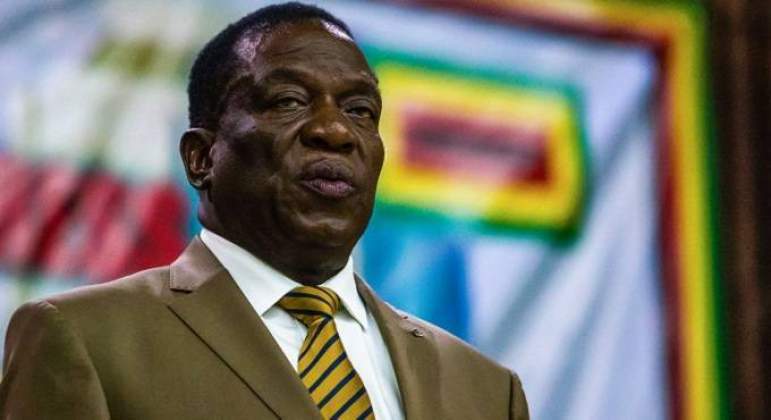 President Mnangagwa said dialogue was necessary to prevent conflicts among nations and in communities. "But I think as we sit around the tables here, some would appeal to a Zimbabwe which is open for business and dialogue," he said. "Others on that topic would support a Zimbabwe open for business and charity. Both are scenarios. I think there is nobility. Where people disagree or have different views on a particular path, journey or destiny of their country, it is critically important that we always have dialogue," he said. "Dialogue breeds love, unity and peace. If nations put dialogue in front, we would have no wars, but wars come by because we would have abandoned dialogue. "Conflicts, acrimony between nations, families and communities come by when we abandon dialogue. But charity also plays a very important part in the lives of people. Charity means you must have the love to assist your neighbour. "That again brings about peace. I am not aware in history where people who engaged in charity have been despised. People engaged in charity are few and very rare to come by when you actually need them." President Mnangagwa said the relationship between Matter and Angel of Hope Foundation showed that there were cordial relations between citizens of the two nations despite strained political relations. "We are gathered here because of our friends from the USA who love charity, who have linked up with the Angel of Hope here in Zimbabwe led by the First Lady whose mission is charity to look after the disadvantaged in our society," President Mnangagwa said. "To you my friends from America, I have said this to your ambassador that the ordinary American has no issues with Zimbabweans nor do ordinary Zimbabweans have an issue with the American people. This is why there is this cooperation, there is this exhibition of love. Of course, when we go to national interests and ideology, this is where there is a stand-off," he said. "At the end of the day, I believe that in all these situations, peace may be slow to take root, peace and love may be slow to gain victory, but it will always gain peace. Love and unity will always gain victory."